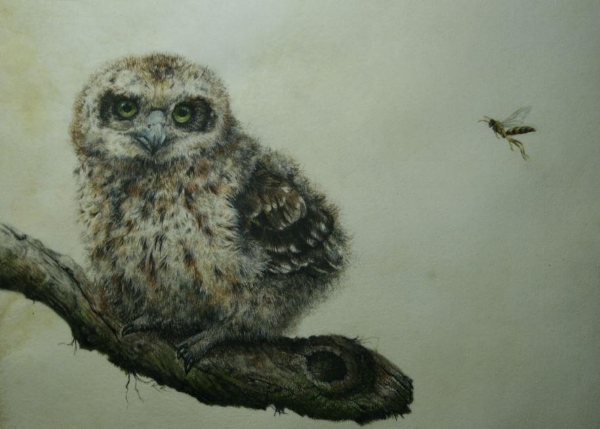 "My art is all about the birds. 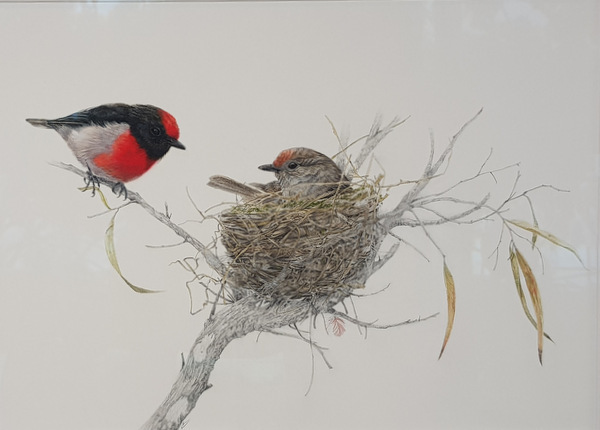 I capture them in watercolour, sometimes in oils and gold leaf, from the smallest scrub wrens to the great predatory raptors. Working from initial observations and photographs to glean as much information as possible about detail I then progress to sketches to get a feel for shape and shadow. From there a concept begins to emerge, colours, light, posture coalescing into an idea for the final composition. 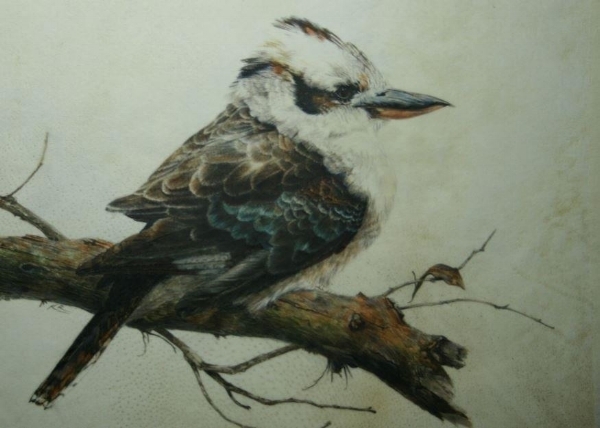 Sometimes I will paint landscapes or still lifes but am always called back to the birds."